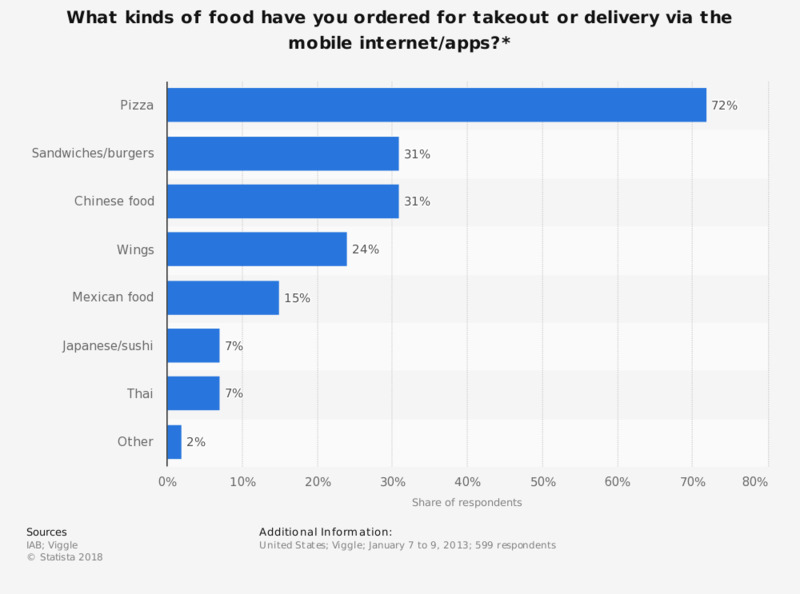 The statistic shows what kind of foods the survey respondents ordered via mobile internet or apps. The survey revealed that 72 percent of respondents have ordered pizza via the mobile internet / apps. When you order food from restaurants, do you prefer takeout or delivery? Compared to a year ago, are you ordering more, less or the same amount of large catering orders for takeout? Compared to a year ago, are you ordering more, less or the same amount of large catering orders for delivery?